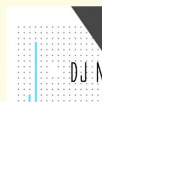 Tags: DJ mixtapes 2019, latest 2019 DJ Mixtape, DJ mix 2019, naija Latest DJ Mixtape, DJ MoreMuzic 2019 mixtape, latest djmoremuzic compilations, Naija February 2019 DJ mixtape. 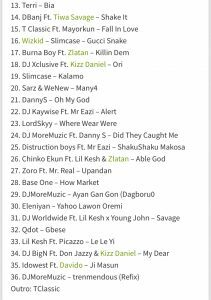 Description: The international Disc Jockey and Legendary Blogget, DJ moreMusic unleashes a powerful hit banging party mixtape titled Nobody Fine Pass You. This trending mixtape correct for all changes made to the 2019 playlists containing new songs of 2018-2019. Download this latest mixtape. 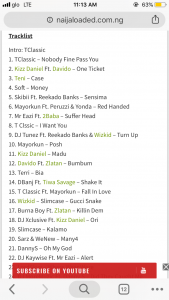 Naija February 2019 DJ mixtape.